Intrigue, Adventure, and a touch of Romance. Maddie found her on the beach. The Selkie girl was hurt, alone, the prey of evil men. Maddie’s Scottish grandmother had told stories about Selkies, humans who transform into seals and back again. To survive, the girl needs Maddie’s help and Maddie will need hers. Carlsbad is the California beach town Maddie and her two younger brothers now call home. They came to live here with their grandmother after their parents were killed. This was where Maddie hoped to finish high school, a place where they could begin to move on with life. But then Grandma was kidnapped, and they found the Selkie… and Grandma’s lifeless body. As she works with the FBI to find out who murdered her grandmother, Maddie meets an FBI agent’s handsome young son who turns her whole world even further upside down. Maddie thought she understood it all. In reality, she knew nothing. The motive was more sinister, the means more complex, the opportunity more obscure than she could have ever imagined. She must find who is after them and why before it is too late. 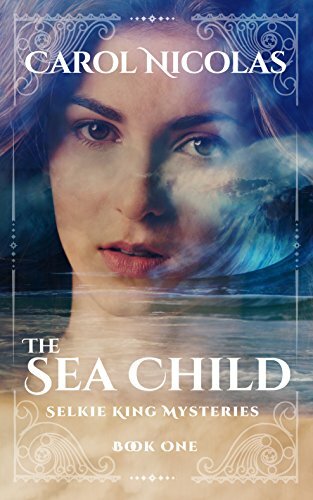 The Sea Child is the mesmerizing first book in The Selkie King Mysteries series. A YA urban fantasy cozy mystery full of clues, twists, romantic swells, and a dive into the mythical world of the Selkies, that will keep you guessing to the end.